﻿Win a £50 Lakeland gift card! Introducing our latest prize draw giveaway! It begins at midnight on Tuesday 14th November 2017 and gives people who follow our Facebook, Twitter or LinkedIn accounts the chance to win a £50 Lakeland gift card to be spent in store or online. 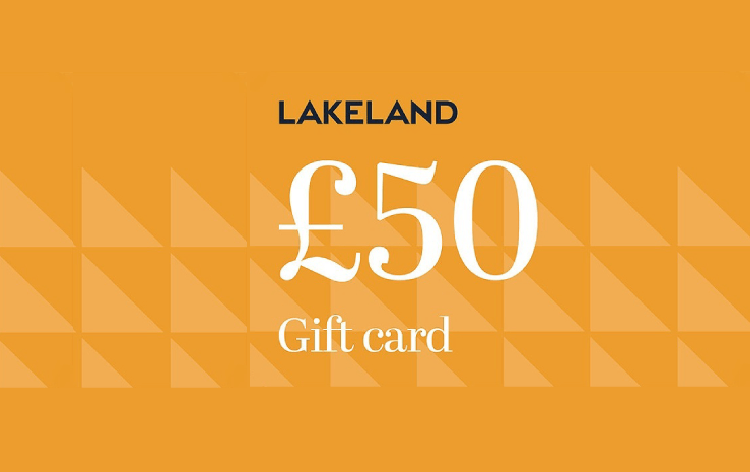 For the chance to win this £50 Lakeland gift card, simply like our Facebook or LinkedIn page (or follow us, if you prefer Twitter) and like our post. And - for double the chance of winning - share or RT the post too. It really is as simple as that! Entries close at midnight on Monday 15th January and then the lucky winner will be chosen at random and notified via the social channels. So, head to the L&C Facebook, LinkedIn or Twitter page to enter now. Our full competition terms and conditions for this prize draw can be found here.